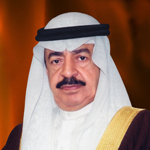 Mere hours after the signing of the document ending the special treaty between Bahrain and the United Kingdom on the 15th of August, 1971, H.M. Shaikh Isa bin Salman Al Khalifa, then Ruler of Bahrain, issued a decree to reorganize the political structure of the country. As per the decree, the Emirate of Bahrain was renamed the State of Bahrain and the Ruler of Bahrain was changed to Emir of Bahrain. Another decree followed shortly thereafter which changed the State Council to Cabinet of Ministers and the President of the State Council to Prime Minister and Members of the State Council to Ministers. The Cabinet of Ministers worked relentlessly from day 1 on its goal of achieving its ambitions quickly to bring Bahrain up to speed with other modern nations and reach the hopes and dreams of its people. Since then, the country has gone from one success to another, becoming a model for larger countries with bigger human and natural capital. An avid walker and reader, and possesses a great deal of interest in Bahrain’s history and culture. His hobbies also include landscaping and raising various birds and natural wildlife, as well as photography and painting. His court receives a large number of letters from Bahrain’s citizens requesting help in certain matters which they cannot resolve themselves. He usually forwards these letters to the proper entities or issues answers to these letters himself.